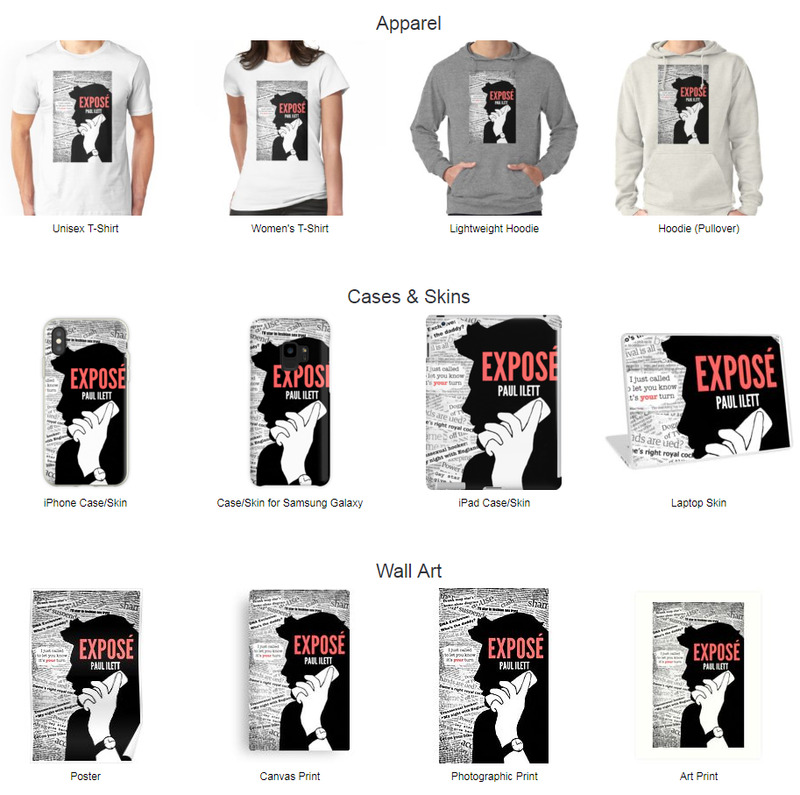 The artwork for Exposé was created by a very talented artist named Barnaby Edwards. He created a strikingly original image that captures the attention, and one that certainly visualises the story of the book. Here we can see Adam Jaymes, silhouetted as her makes one if his infamous phone calls against a background of salacious Daily Ear headlines. Barnaby has made his artwork available across a range of different products, from clothes to bags to phone cases, and you can order them today from REDRUBBLE.